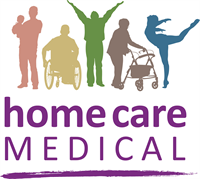 Serving Southeastern Wisconsin since 1974, Home Care Medical, Inc. provides enteral nutrition; rehab technology; respiratory care; home medical equipment and supplies; and bracing and compression garments. Home Care Medical, Inc. is the WAMES (Wisconsin Association of Medical Equipment Services) HME Provider of the Year award recipient in 2013 and 2012. Accredited by the Joint Commission and an active member of WAMES, the MedGroup and AAHomecare, Home Care Medical’s mission is to enhance the lives of those we serve. Competent staff. Wide variety of supplies on hand.